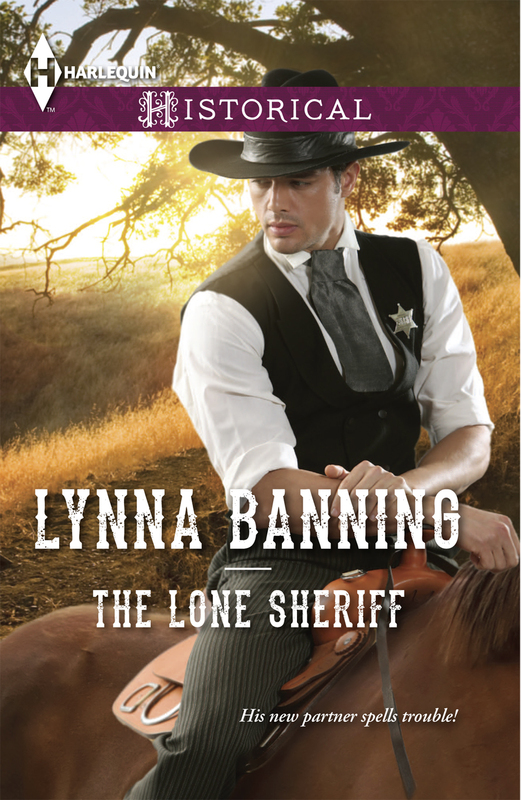 My guest this week is Lynna Banning, author of the recent Harlequin Historical release The Lone Sheriff. Lynna was born in Oregon but has lived in Northern California most of her life. 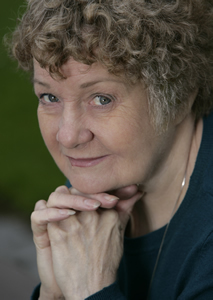 Including her coming October novel, she has published twenty-three books! An amateur pianist and harpsichordist, Lynna performs on harp and psaltery in a medieval music ensemble, where she also plays cortholt, recorders, and tar (drum). Given that background, you’d expect her to write Medieval historicals. Instead she focuses on the old West for her stories. The Lone Sheriff features a female Pinkerton agent, so today she’s giving us a little background on the famous detective agency. Known as the first private eye, Allan Pinkerton set up his North-West Detective Agency in 1850. His motto We Never Sleep proved true during the Civil War, when he aborted an assassination attempt on President Lincoln in Baltimore. Lincoln, on his way to Washington for his inauguration, was so impressed with Pinkerton’s intelligence-gathering that he offered him a job. In 1856 Pinkerton had created the Female Detective Bureau, and though his sons tried to disband the fledgling organization, the lady detectives proved their worth and thrived, particularly during the Civil War. The first female Pinkerton agents were Kate Warne, an attractive 23-year-old widow, and Hattie Lawton, also a widow. Both women were vital to Pinkerton’s intelligence gathering in the riotously amoral atmosphere of Washington where Confederate agents moved and mingled, and female supporters of Dixie flocked to the center of wartime activity and carried out astonishing feats of spying. One unforgettable spy was the Washington socialite Rose Greenhow, known as The Wild Rose. She was the aunt of Stephen Douglas, and while his loyalty to Lincoln was never in doubt, Aunt Rose favored the South and ran Pinkerton a merry chase that ended finally in her death. Rose moved in the very highest circles, acting as hostess for James Buchanan, but she sympathized with the South. When war broke out, she joined a Confederate ring of women spies, and her grandest coup came in July 1861 when she transmitted messages by courier giving details of General Irvin McDowell’s plans. This enabled the South to prepare for the first battle of Bull Run with an ace up its sleeve. Rose had elegant manners and great beauty; she captivated statesmen, diplomats, legislators, and generals, and within weeks she had established a network of spies and informants extending as far as Texas. When word came to Allan Pinkerton that the society belle was leaking secrets, he put Rose under secret surveillance. Rose behaved as if she were untouchable. She and her ladies knew they were being watched but treated it as a game. The Confederate spy tried everything she could to throw Pinkerton off her trail, but he managed to break into her mansion. While he missed a note from Confederate President Jefferson Davis, thanking her for the Bull Run information, his agents uncovered much other incriminating evidence, including her diary. He continued to watch the Greenhow mansion around the clock. In August a civil warrant was issued for Rose’s arrest; Pinkerton and three men, accompanied by female agent Hattie Lawson, found Rose at home. She immediately tried to swallow a coded message, but Pinkerton tore it from her mouth. Rose then sat calmly while the men ransacked her house, unearthing a quantity of incriminating material: ordnance records detailing arms and ammunition, copies of troop orders, even her diary, which incriminated a broad collection of Washington citizenry. Rose and her youngest daughter, Little Rose, were placed under house arrest. When her Confederate agents continued to pay her visits, they fell straight into Pinkerton’s hands. He then used these men (and women) as double agents, feeding false information to the Confederate capital. The spy ring was huge; scarcely a prominent Washington family remained un-implicated, and Pinkerton had a field day arresting agents. Even in prison, Rose continued her espionage activities. She was questioned and remained in prison at Pinkerton’s insistence, but over his objections, was offered parole on condition that she sign an oath not to aid the enemy. She refused, but she was released anyway. Rose and two other women accused of spying were then handed over to the Confederacy. In Richmond, Rose was revered. Her book, My Imprisonment and the First Year of Abolition Rule at Washington, published in London, became a bestseller. She went abroad, captivated Napoleon III and dined with Queen Victoria; then became engaged to the Earl Granville, a powerful political figure in England. And Allan Pinkerton went on capture railroad thieves, forgers, counterfeiters, wiretappers, and illegal inside traders, etc. and also to infiltrate and arrest members of the Molly Maguires. Source: Allan Pinkerton, The First Private Eye, by James MacKay. As if tracking down train robbers isn’t hard enough, loner Sheriff Jericho Silver’s backup arrives and she’s a beautiful, gun-slinging, back-East proper Pinkerton lady detective who sure spells trouble. And she won’t take No for an answer. “You’re here to help?” Jericho echoed. “Of course. I am Madison O’Donnell. The Smoke River Bank hired me to help you catch the gang robbing their gold shipments. He snapped his jaw shut. The last thing he’d expected was this frilly-looking female with her ridiculous feather-bedecked hat. In her green-striped dress and twirling her parasol like that she made him think of a dish of cool mint ice cream. Also on Barnes & Noble. 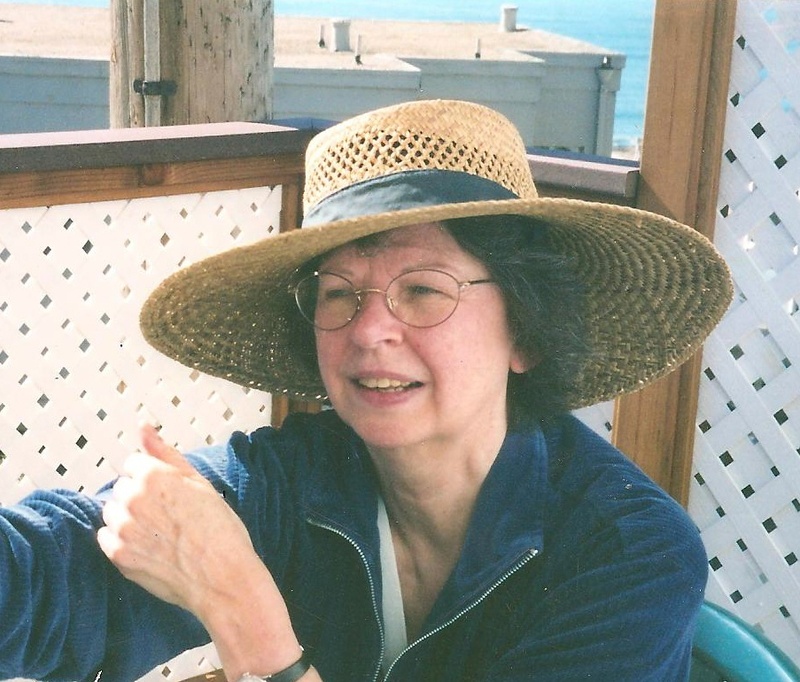 Lynna enjoys hearing from her readers; write her directly at P.O. Box 324, Felton, Ca 95018, USA, or at carowoolston@att.net. Visit Lynna’s website at www.lynnabanning.net. Thanks to everyone for taking part. Good luck with the other contests! Welcome to the 2014 Summer Splash Blog Hop! For four days, June 13-16, you can enter to win Kindle Paperwhites, books (many signed), gift cards, jewelry, copy and line edits, and lots more. Click on the Summer Splash image to go to the main page with the list of all the blogs. Visit each one to discover exciting new authors AND maybe win one of the giveaways each is offering! We even have a special prize entry for anyone who hops around to every single site during the hop! I will be giving away a $10 Amazon gift card and four e-copies of my books. The book winners will have a choice of WYOMING ESCAPE or FOREWARNING. 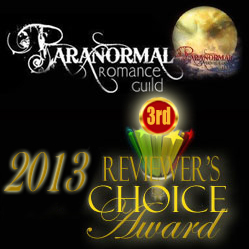 Simply leave a comment at the bottom of the page to enter my contest. Be sure to include your EMAIL ADDRESS so I can contact you if you’re a winner. Here are a couple of short excerpts to whet your interest. Mikela stared at the departing cop. How had he gotten into the Kitchen? No way had she left the door unlocked. Even more important, was he coming back? One thing she knew for sure, this time she would refuse to answer any questions until her lawyer arrived. Worried about the idea of someone snooping around in her business, she trotted to the entrance and opened the door. A familiar acrid odor hit her nose. What the hell? She hurried down the short, dimly lit hallway to her office. The smell was stronger there and mixed with another much more unpleasant stench—one she had encountered yesterday. She gasped at the state of the room. Papers littered every surface, her file cabinet drawers gaped open and a dark stain spread across the carpet, emanating from the body of a man lying on the floor. Sam Braddock, the man from the park, lay huddled on his side, his face slack, his eyes glassy. A gun—the.38 Special her grandfather had given her—lay on the rug near the desk. Mikela’s vision wavered; she staggered backwards and slid down the wall, staring at the lithograph of Paris behind her desk, a symbol of happy times. Paris was safe, Paris was beautiful. Nothing bad happened in Paris. This can’t be happening. One glance down told her it was real. She pressed her lips together, struggling not to scream, and scrambled to her feet. No one who had lost that much blood could be alive. Yet she crouched over Braddock and felt for a pulse. There was none. She stood again and stared at the dead man. Why was he in her office? Even more important, why had he been killed—with her gun? She concentrated on the agitated feelings surging toward her and recognized Star’s distinctive energy. Kasey sensed no pain, so the mare wasn’t hurt. However, she was frantic about something. Don’t forget to leave your CONTACT INFO with your comment ! I’m back again with another small piece. Be sure to catch all the other snippets posted by the many talented authors via Snippet Sunday and Weekend Writing Warriors. Here’s a following bit from the second chapter of Wyoming Escape. Let me know what you think. One dead body is frightening enough. A second one, plus a dirty cop, sends chef Mikela Richards fleeing for her life. 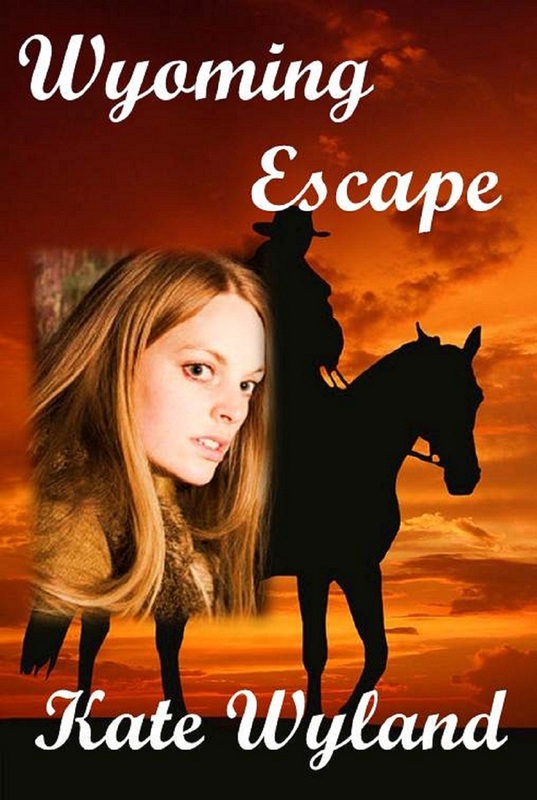 She hides on a Wyoming Dude ranch, but her attraction to an on-leave Marine threatens her fragile feeling of safety. Hiding her shaking hands under the table, Mikela offered a tentative smile. “I’m fine–just not good with loud noises.” Damn, when would she get over jumping at the slightest racket? How long before the memories of dead men stopped haunting her? She took a deep breath and willed her trembling to quiet. Once she was sure she wouldn’t spill anything, she sipped at her cup and glanced around the small coffee shop. Not much to look at. Whoever was manning the stove knew their stuff, though. The scrambled eggs passing her table were fragrant with herbs and the coffee was the best she’d tasted in a week. Today my guest JoAnn Smith Ainsworth talks about a very special animal that helped her through a difficult time in her life. 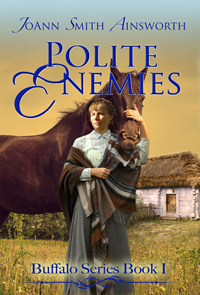 Her most recent release is Polite Enemies, published by Whiskey Creek Press and available as an ebook too. Here’s JoAnn. POLITE ENEMIES features a farm horse, Old Molly, who appears in many high-profile scenes. In 1895 Wyoming, Old Molly thwarts outlaws, hauls equipment to fight a fire and, notwithstanding exhaustion, comes out of the barn one more time for the heroine to defend her hero. Old Molly has a personality that makes her one of the story characters. Old Molly has been with the family for over a decade. Whether called upon to pull a plow or haul a load of farm produce to town, Old Molly placidly does her duty. The hero is a rancher so there are other, more powerful horses in the novel, but none of those horses have the personality and importance of this tried-and-true farm horse. Incorporating a horse with a “personality” into POLITE ENEMIES came from my own experiences as a horse owner. I owned a horse for a few years and he played a central role in my life. 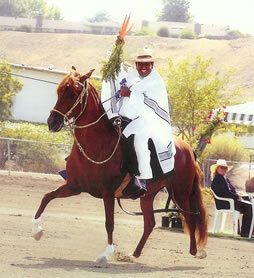 Sensacional was a Peruvian Paso with dark coloring, an almost-to-the-ground, black tail and a flowing, black mane. He had a very smooth, specialized gait, (which looked like this horse ridden by my trainer, Silvano Taipe). Sensacional played a major role in helping me survive the transition of my son from a dependent child into an antagonistic teenager and, finally, into an independent young man. I had to learn to step away, to give my son enough space so he could grow. Sensacional was the “crutch” that helped me through the transition. He kept me from a mother’s despair as her child pulls away from her. Sensacional was a rescue horse. In a way, we rescued each other. He was a beautifully trained gelding with quality features, but his owner died suddenly. Those family members dealing with a human death forgot about the horse. Not being fed and watered, Sensacional went to skin and bones. By the time I got him, he was too weak to carry a person. The trainer spent a few months to fatten him up and rebuild muscle tone. We took long walks together while Sensacional was unable to carry weight. I would speak to him as we walked and he seemed to understand and accept the bond of mutual need being built. Although he was a show horse at one time, I wanted him for trail rides on a Napa County recreational ranch. Peruvian Pasos can cover miles with ease and provide a smooth ride because of their gait. As Sensacional responded to food and exercise and companionship, we became closer. Eventually, he was fit for trail rides. My mothering instinct traveled from my son to my horse. Where my son rejected fussing and care, Sensacional loved being coddled and groomed. The horses in POLITE ENEMIES benefitted from my experience. As is the nature of things, during this time my son and I became more estranged, but Sensacional took the sting out of it. It took my son into his early twenties to return to a belief that parents might have some value in this world. It took Sensacional less than a year to return to his original beauty and most of his strength, but the starvation had taken a toll on his health and shortened his life span. Sensacional neared the end of his days and passed out of my life at a time when my son reached his maturity and eventually came to believe a mother might be worth acknowledging once again. Have you ever had an animal which helped you over hard emotional times? Describe your experiences for us. IDA LOUISE OSTERBACH survived Indian and range wars and the murder of her husband. She’s kept the farm going through sheer grit and the help of her cousin, a friend and two farm hands. She’s managed a profit, paid the mortgage and re-paid the crop loans. Hard working, focused, fiercely proprietary, the last thing she has time for is romance. JARED BUELL—widower neighbor and wealthy rancher—was never particularly charitable when it came to farmers, even eye-catching ones like Ida. He’s not looking to start trouble or anything else with her. His comfortable existence needs no complications, thank you very much. Then an old nemesis comes to town and threatens his and Ida’s property. He has no choice but to get involved. Experience this action-packed romp through 1895 Wyoming where an outlaw schemes to take over the town and Ida and Jared find love when they least expect it. Read an excerpt at http://bit.ly/1epn2aM. Visit @JoAnnAinsworth on Twitter and Facebook. Here’s the next to last snippet from the first scene of WYOMING ESCAPE. Mikela Richards is running in a woodsy park when she hears gunfire, sees a man with a gun, finds a dead body and runs away when someone comes out of the woods. The footsteps following her faded. She glanced over her shoulder as she rounded a bend and spied no one. Had he stopped chasing her? Or had he used the shorter trail? She reached the edge of the parking lot a few minutes later, paused behind a bush and peered out. No one was in sight. The five or six vehicles now scattered around the parking area reduced her car’s conspicuousness. She dashed to the SUV, ripped off the magnetic signs on each side, and threw them inside. Moments later, her tires squealed on the asphalt as she sped out the exit.